Search Engine Optimization can mean several things. There are entire websites and companies focused on SEO. You’ve probably received offers to optimize your site, or may have started looking into what you can do for yourself. The topic can be pretty intimidating for a musician, but it doesn’t have to be. In this post, we’ll cover the basics of WordPress SEO for music websites. What it is, what it can do for your band’s site, and one of the easiest ways to make sure your site is optimized at a basic level. As with any major decision about your music website, your first step should be determining the site’s main goal. This can depend on your music, location, and size of your fanbase. Are you trying to provide information to people who are specifically looking for your band’s site? Trying to book new gigs and attract booking agents or private event hosts? Trying to attract general music fans in your area? All of these aspects should be taken into consideration when you start optimizing your site. They’ll determine what kinds of keywords and content you want to make sure you’re including on your site. Once you’ve determined what the site’s goal is, you can do some brainstorming and research on keywords. Keywords are words or phrases that someone might type into Google or other search engines. You’ll want to consider the phrases and words you want your site to show up for. You can use the Google Keyword Planner to get some ideas. You’ll need to create an account, but the planning service is free. Once you’ve decided what the site’s goal and main keywords are, there are a few basics to cover in order to make sure your site will been seen by search engines. This is one of the most important parts of WordPress SEO, and it’s often overlooked or left off purposefully. Under your WordPress admin dashboard, head to Settings → General. There you’ll see a field for Site Title and Tagline. Your site title should be pretty simple, and should include your name or the name of your band. The tagline is a little more flexible. You can use this area to include your most important keywords. For example, your site title may be “Your Band Name,” while the site’s tagline could be “Live acoustic music in the Chicago area”. If you’ve left the site’s tagline incomplete because you don’t like the way it looks on your site, you can hide it on the front end with a simple CSS snippet. You’ll definitely want to include both a site title and tagline for the search engines. There is an option under Settings → Reading that discourages search engines from indexing a WordPress site. However, you probably want people to find your site, so this box should be unchecked. We’ve covered permalinks in detail before, but they’re worth mentioning again in the SEO discussion. Permalinks are the unique and permanent URL path for a page or post on a website. They’re the link you share when you are linking to a specific area of your site. Beginning with WordPress 4.2 “Pretty Permalinks” are the default structure on install, but it’s worth a second look to confirm. You definitely want to avoid the old default permalinks which end in /?p=123. Plain permalinks give no SEO benefit and are quite difficult for site visitors to navigate. 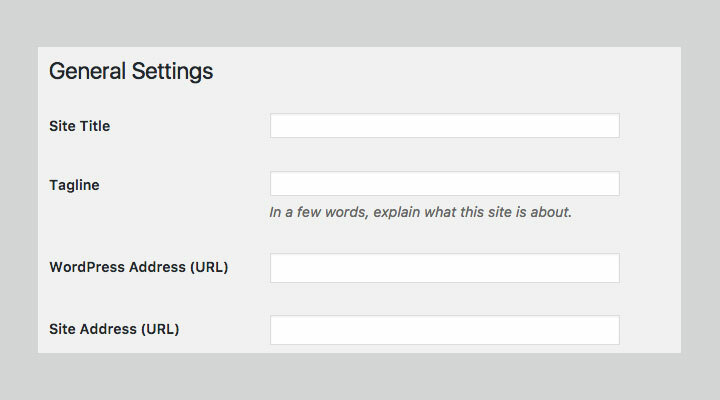 WordPress gives you several options for permalink structure under Settings → Permalinks. We typically recommend the “Post name”, or “Pretty Permalink” structure, which looks like http://example.com/%postname%/. This structure makes navigation easier, and also gives you greater control over SEO. As we mentioned in our previous article, changing link structure after your site has been established can cause problems. For example, if someone has bookmarked a page on your site, or shared a link on social media and the permalinks are changed, the link would be directed to a 404 Page, reporting non-existent content. If you’re going to change the permalink structure, you’ll want to add 301 redirects. You can do this either in your .htaccess file, or by using a redirection plugin. A redirect will forward someone to the new page when they try to access the old link. After you have the basics of searchability covered, you can dive deeper into search engine optimization. Our favorite way to approach in-depth SEO is using the Yoast SEO WordPress plugin. You can get this plugin from the WordPress plugin repository, just download and activate. Yoast has an exhaustive library that can allow you to become a self taught expert. But, the plugin has some great features that don’t require much study time. Those are what we’re going to cover in the rest of this post. 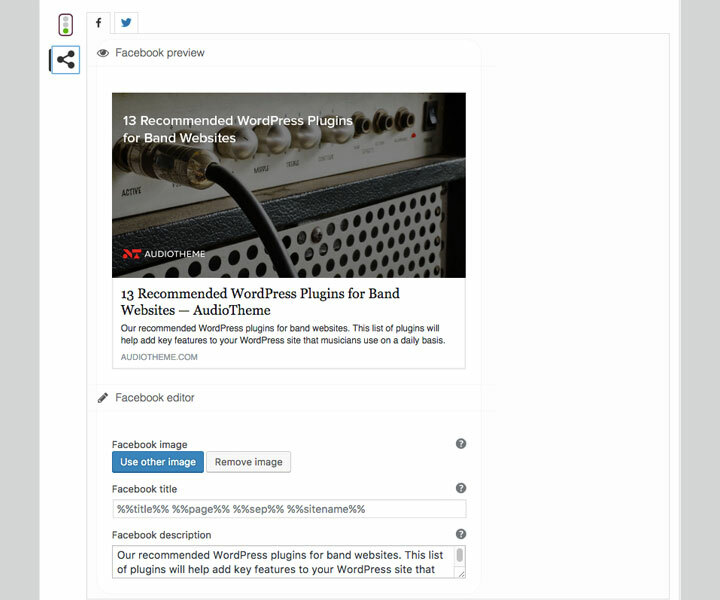 Once the plugin is installed and activated, you’ll see a new heading under your WordPress dashboard: “SEO”. When you visit the Yoast SEO dashboard, you’ll get a snapshot of the site’s obvious SEO problems, as well as any relevant notifications. Under the General tab of the dashboard, you’ll see a configuration wizard. We strongly recommend running through this. It takes only a few moments and allows you to easily make some important changes. It’s one of the quickest ways to configure the basics of WordPress SEO for music sites. You’ll also get to link your social media profiles, and determine which aspects of the site you want to be visible. You’ll be asked what kind of website you are setting up. We’ve found that Small Business works well for bands and solo musicians. Bands can be set up as a “company” while a solo musician can be set up as a person. You’ll also be given a chance to authenticate with Google Search Console, which is highly recommended. Search Console is another great tool that can alert you to SEO problems. Together with Google Analytics, the search console can help you determine exactly what keywords people are using to land on your site. We’ll cover this more in a later article, so you can skip that step for now if you’d like. Under title settings, the title separator can be whichever you prefer, as it won’t really play much of a factor in SEO. By default, the AudioTheme archives may look a little different than the rest of your page title. This is because they are custom post type archives. 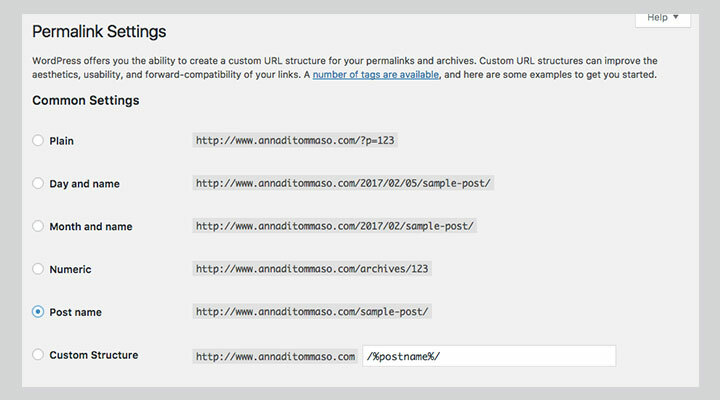 You can adjust the title structure to match the rest of your website under SEO → Titles & Metas → Post Types. Once you’ve run through Yoast’s configuration wizard, your site as a whole will be pretty well optimized. However, in order to boost your search rankings, you’ll need to make sure your site has content that includes the keywords you are targeting. Yoast has an SEO tool that populates on each page or post. This tool helps you optimize for a specifically targeted keyword. A detailed analysis will populate after you’ve entered your page text and assigned a targeted keyword for the page or post. 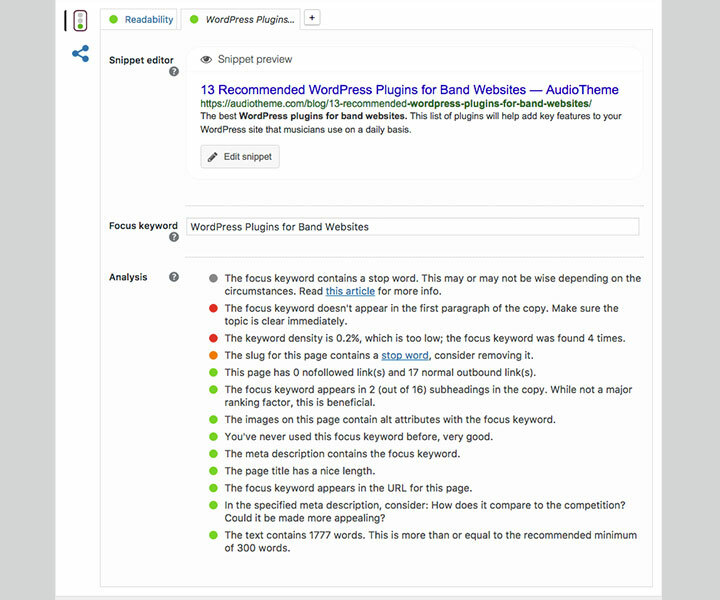 The plugin uses a stoplight scale to rate the overall SEO and readability of the page. Green is good, yellow is okay, and red is poor. Right on each page, you can get specific instructions for how to improve the searchability and readability of your post. Aspects include: focus keyword density, alternate image attributes, word count, and more. It’s important to note that you can have an overall score of “good”, even with a few yellow and red lights on specific topics. As you optimize more pages and posts, you’ll learn to include some of these suggestions by default, and should see more green lights when you first enter your content. A great bonus to using Yoast SEO on WordPress is that it solves a common question we’re asked in support: “How can I change the image and text that display on social media shares?” Yoast SEO gives you complete control over what displays on social media shares for Facebook and Twitter for each page. Under the stoplight icon, you’ll see a share symbol. This is the area that allows you to make changes to what is shared by default if someone links to the page via social media. Here you can update the description of the site that will populate on the preview that displays for each page on social media. You can also upload a specific image – it doesn’t even need to be included within the post in order to display. 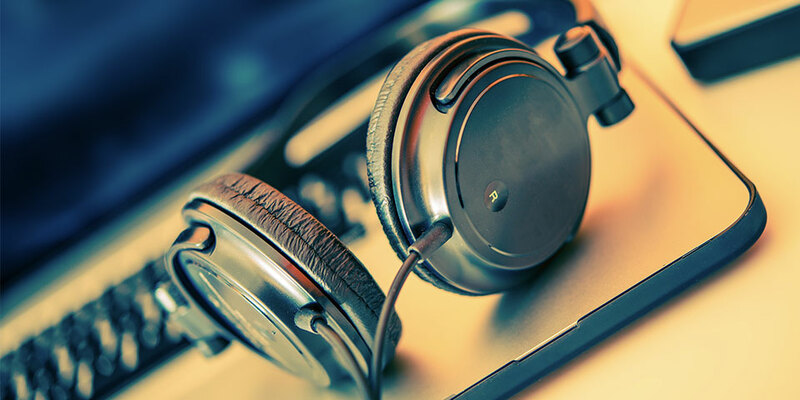 While you can spend large amounts of time researching SEO, following these steps for basic SEO is the most efficient way to optimize your WordPress music site for search engines.